Medical School & Year Emory University School of Medicine, 1984; residency at University of Arkansas for Medical Sciences, 1984-1989. Instructor in general surgery, 1989. 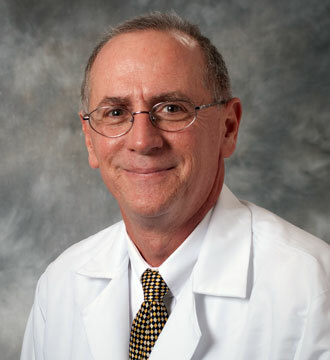 Dr. Michael Hoffman was born in 1958 in Philadelphia, Pennsylvania, and attended North Miami Beach Senior High School. He went on to play Division III tennis as a McGill-Rhoads athlete scholar at Haverford College, Pennsylvania earning All-American honors. He earned his Bachelor of Arts in Biology in 1980, and graduated from Emory University School of Medicine in Atlanta with a Doctor of Medicine in 1984. He completed his post-graduate training at the University of Arkansas for Medical Sciences, where he served as a surgical intern (1984-1985), a resident in general surgery (1985-1988), a chief resident in general surgery (1988-1989), and an instructor in general surgery from July to December of 1989. Since January of 1990, Dr. Hoffman has maintained a private practice in North Atlanta. From 1993 to 1995, he also served as chief of general surgery at Northside Hospital. He has completed over 160 medical education hours, and is a member of the Medical Association of Georgia, the Southeastern Surgical Congress, the Laparoscopic Society of Atlanta, the Georgia Surgical Society, and the Georgia Society of General Surgeons, and is a fellow of the American College of Surgeons.